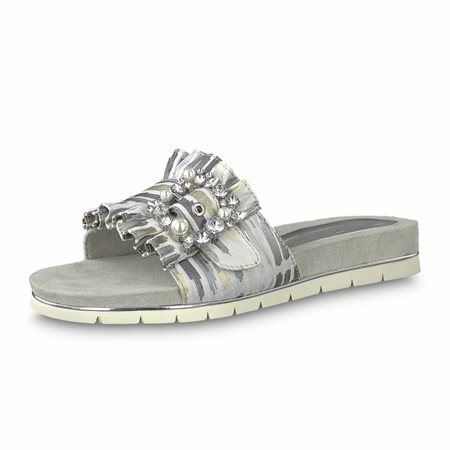 Summer, sun, beach – positive associations are evoked with this backless slipper. Tamaris combines cheerful pastel colours in wide and narrower horizontal stripes into one summer shoe. A high sole with a comfortable TOUCH IT-footbed gives additional comfort during walks at the beach. Thanks to the patterning of the sole slipping on smooth paths is also prevented. Combined with white linen trousers or even a summer dress, this backless slipper is a great travel companion for summer sceneries!